I love vegetables but more the sauteed preparation rather than salads. Juju Eats has always been one of the places I’ve wanted to try but I’m always getting voted down. The perfect chance popped up when I was invited to try their stuff out. They have a beautiful space in Podium (old Golden Spoon), can’t miss it coming from the parking elevators, wide frontage with more seats outside than in. 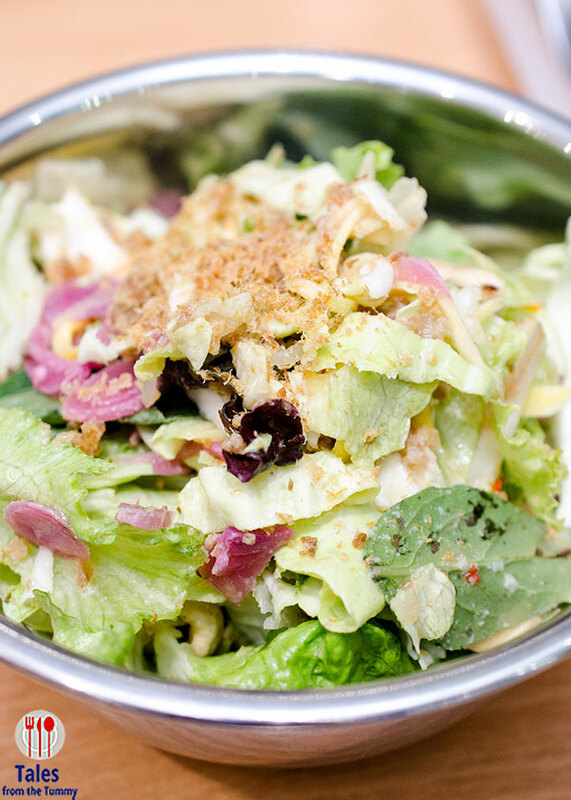 Juju Eats is known for their salads so with started with the Crispy Catfish Salad (P320/ whole, P160/half). This Thai inspired salad has crispy catfish flakes, green mango, green papaya, cashew, red onion, cilantro, basil and nam plaa dressing. A good and tasty salad for people who like a little sourness in the dressing. Next salad was the Inasal Salad (P350/ whole, P175/half). This bowl has pork inasal, green mango, feta cheese, red onions, boiled egg, cherry tomatoes and balayan dressing. This is very good and will be really enjoyable to many people. My only suggestion is to change the pork to chicken, easier to eat and no fat. If you prefer something for on the go, the wraps are the right choice. 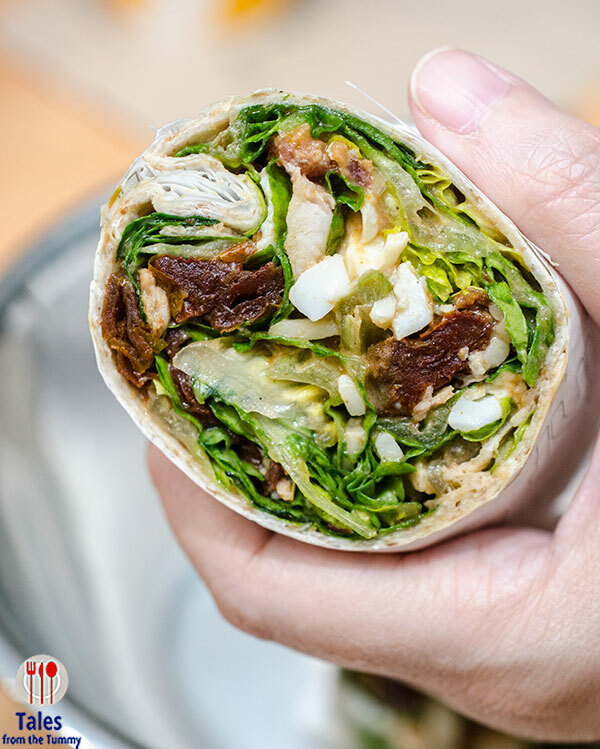 All their salads can be made into wraps like this Ay Cramba Wrap (P220). This one is Mexican inspired with grilled chicken, nacho chips, pickled jalapeno, red kidney beans, grated cheddar cheese, salsa, and Ay caramba sauce. There’s a slight spice to this one but it’s still enhances rather than overpower, plus there are surprise crunch from the nacho chips. 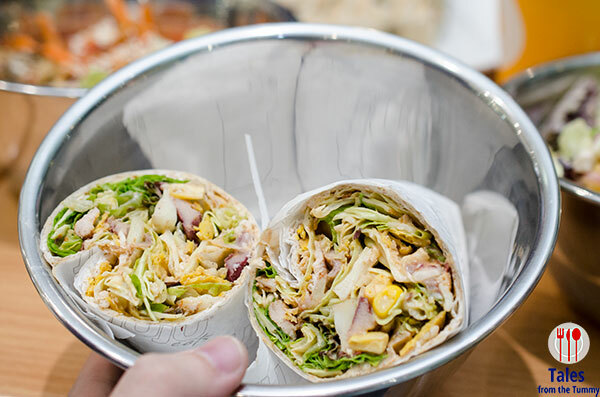 The Big Boy Wrap (P260) has grilled chicken, bacon, hard boiled eggs, sun-dried tomatoes, grated cheese, beans and french dressing. This one has bacon and grilled chicken so it’s another easy to please everyone order. If you don’t fancy any of their pre made salads, you can just make your own. 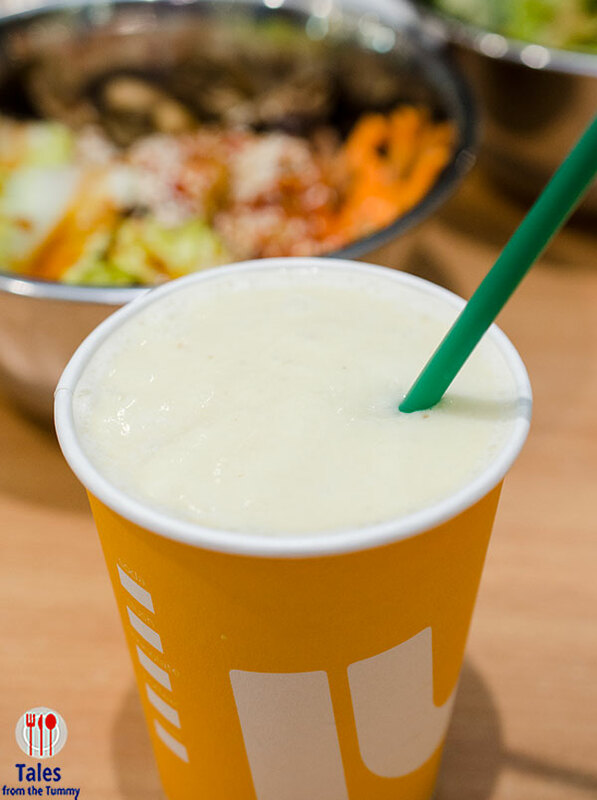 Wash your meals down with their Banana Smoothie (P135/small, P185/large) one. 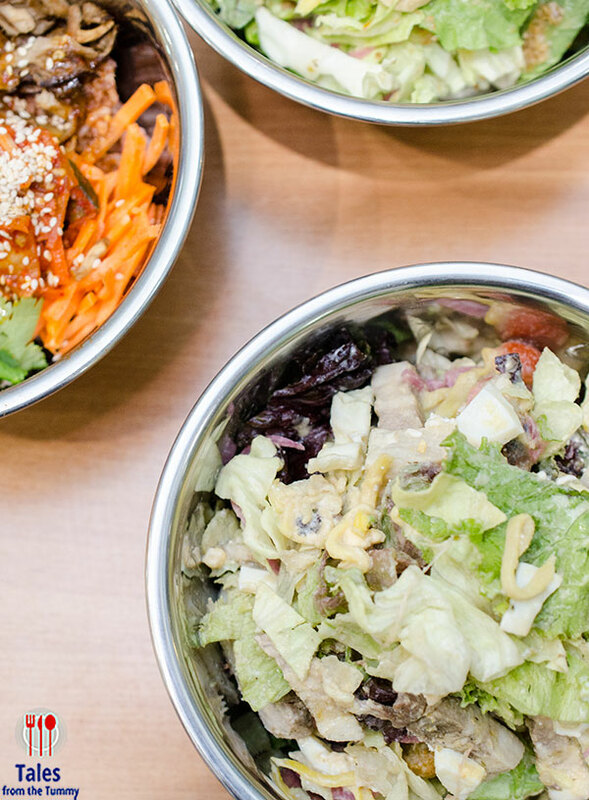 The recently added rice bowls like the Bibimbop Bowl (P299). Juju Eats uses mushroom as stand in for beef and for me it actually tastes better. 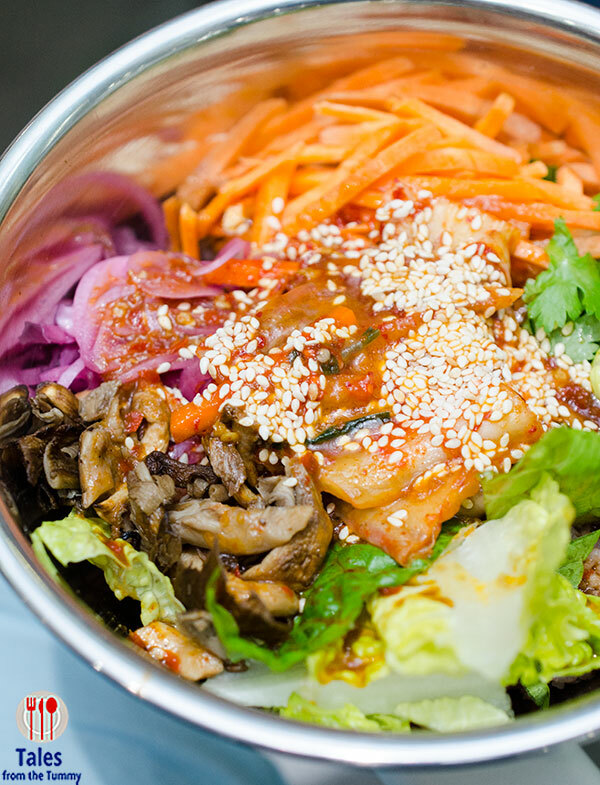 There’s a big bunch of kimchi in the middle that makes this bowl on the spicy side. Juju Eats recently launched a new line of paninis. 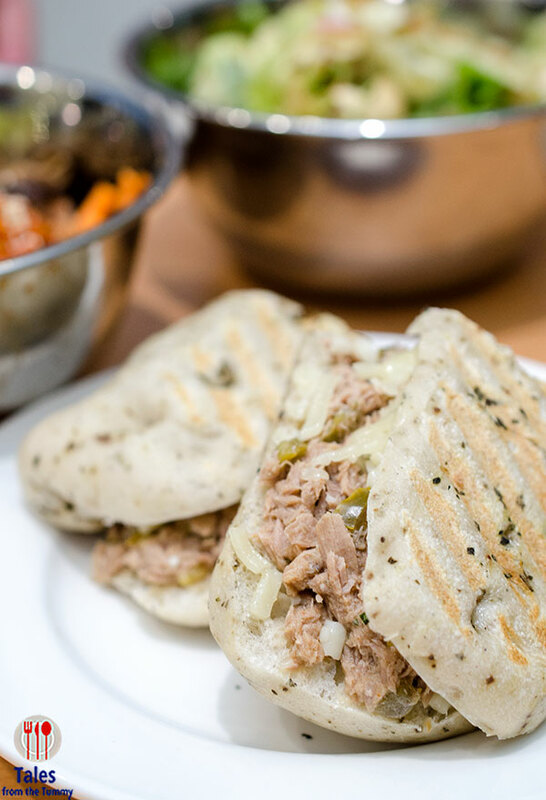 We tried the Spicy Tuna Panini (P240) and the Breakfast Panini (P240) but I’m sure you know which was our choice. Egg, dressing, bacon in one and fish on the other. 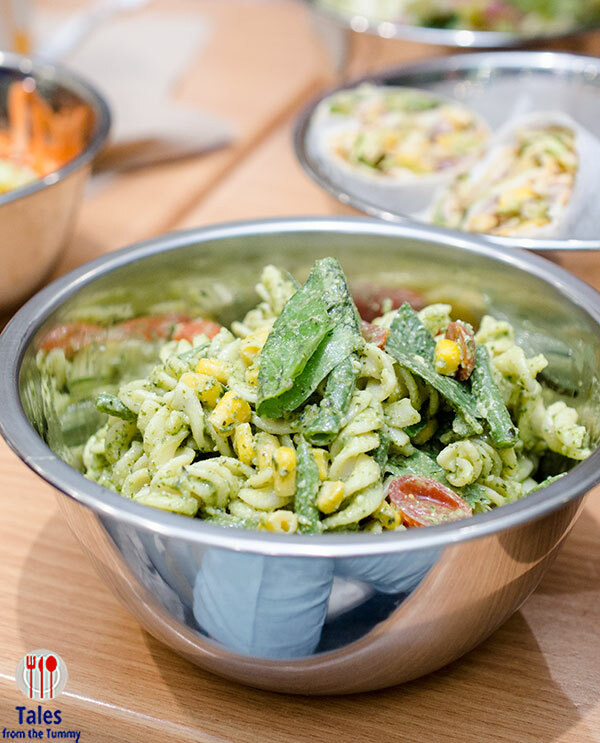 Pasta lovers can also enjoy Juju Eats offerings like the Pesto Pasta Salad (P240). If you love pesto then you’ll surely enjoy this, fragrant and flavorful with nice sweetness from the corn and tomatoes. Irene and I are both not big fans of pesto. 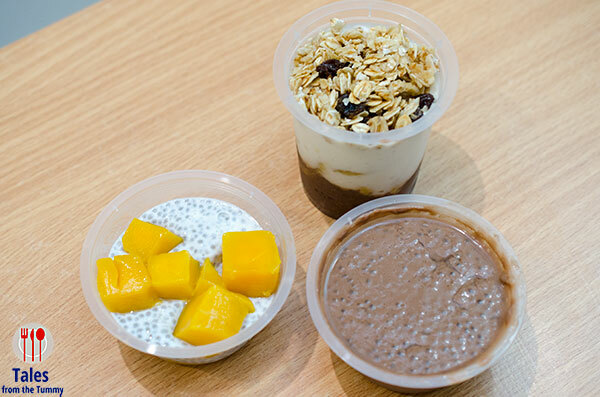 Juju Eats also has desserts like the Mango Chia Pudding, Chocolate Chia Pudding and the Choco Banana Parfait. My pick among the three was the mango chia, with the chia seeds tasting like faux tapioca. 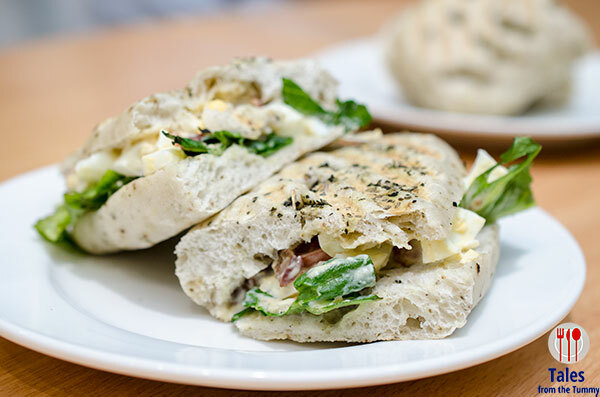 There’s lots of thing to try at Juju Eats from their signature salads to paninis, rice bowls and even filling wraps plus some desserts too. So get rid of your green apprehension and give them a try, you might just end up enjoying yourself. Branches: Podium, Rockwell Business Center Ortigas, Eastwood, Chino Roces Ave.